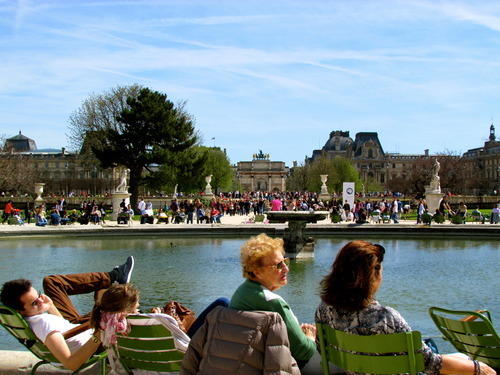 For those of you lucky enough to have an upcoming trip to Paris, or for those of you would like an excuse to daydream about time spent in Paris – I invite you to take a trip with me down the grand boulevards, the boat-lined Seine river, the quiet parks, the marble bridges and the noisy street café lined sidewalks, I’d like you take a trip with me to Paris. 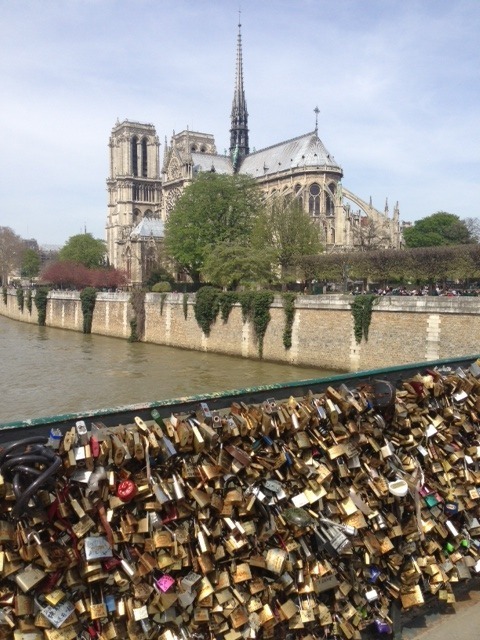 I spent five short months living in Paris during the spring of my junior year in college, and those months continue to fill me with some of the most warming thoughts and memories. 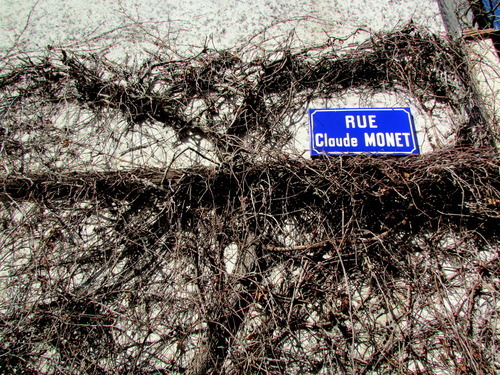 Memories of petite children riding scooters to school, speaking French in high pitched voices; memories of quiet, dewy mornings in the park; memories of my bookshelf-lined attic apartment; smells of toasty baguettes and fresh flowers from a nearby stand, of dazzling lights and historical relics from a time of exuberance. 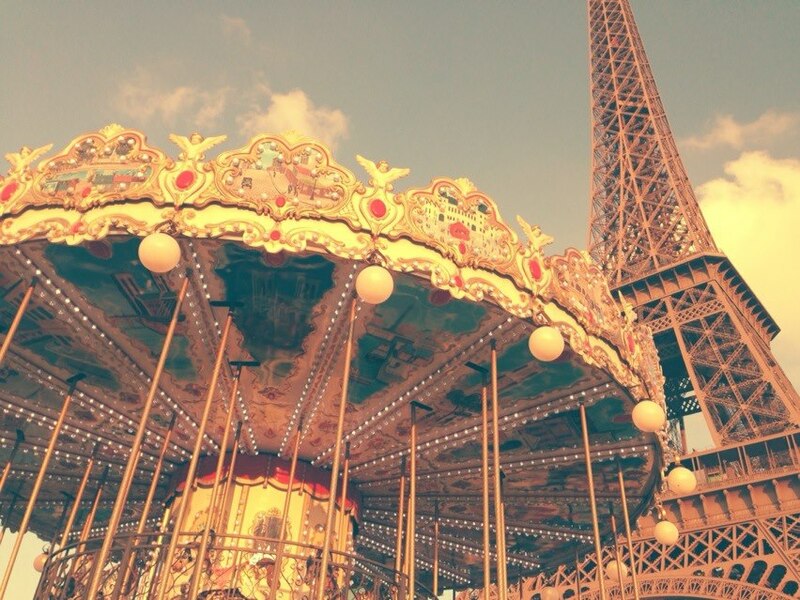 If you’ve been to Paris, you love it. It’s impossible not to be infatuated with its metropolitan beauty. Paris is a place you go to fall in love, with a person, with yourself, with a rue, with a café, with a piece of art, with a city. 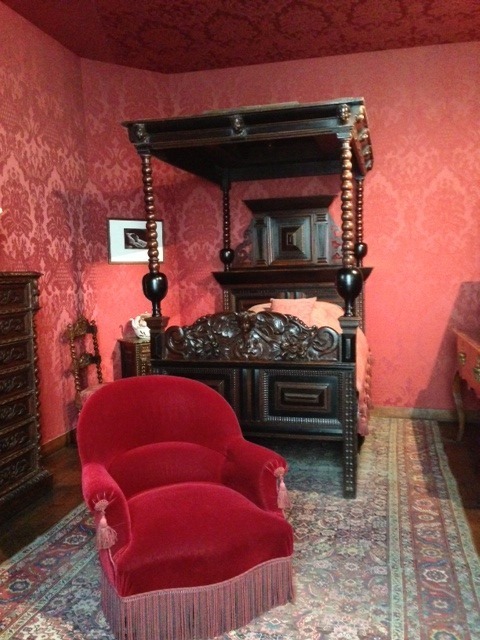 Let’s just say I wasn’t living like Marie Antoinette during my time in Paris. My money that would normally be reserved for eating out in the states was reserved for traveling throughout Europe on weekends (though there is no reason to leave Paris). It’s overwhelming to know that although you are in a city with some of the world’s greatest chefs, you won’t be able to make it to to even half of the great restaurants, or even a handful. Do not fret. 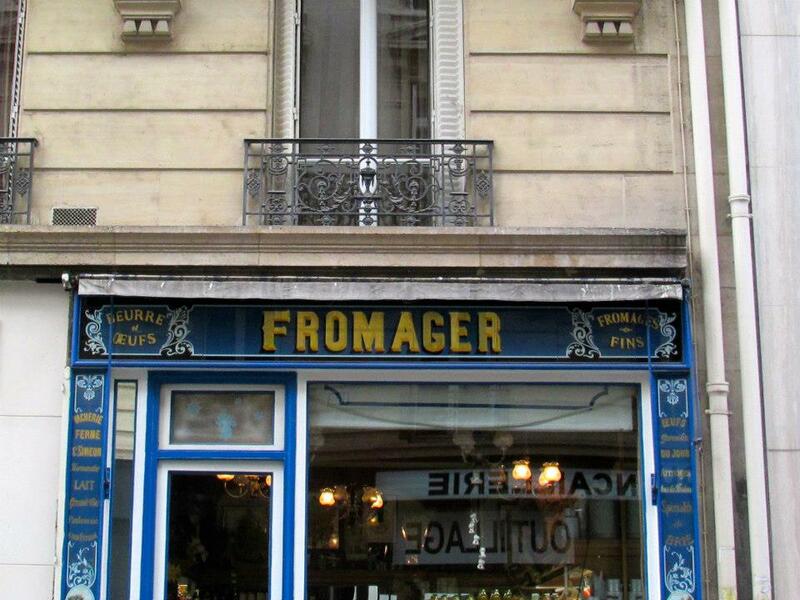 You’ll be able to get a good meal anywhere in Paris. However, my recommendations for what to not miss are below. 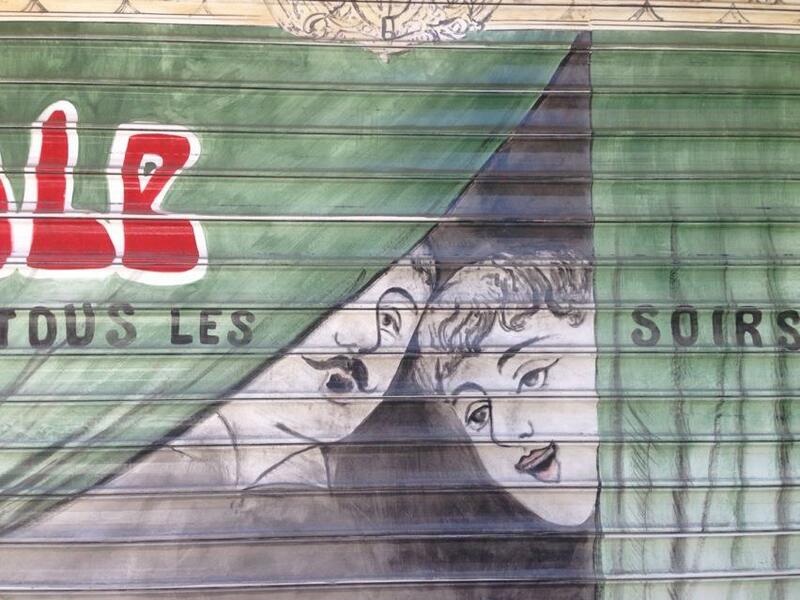 L’As du Fallafel | If you find yourself in the Marais, do not miss out on this falafel shop. Chewy pita, crispy falafel and all the fixings bring the lines to this joint. Stand in line or take a seat inside. Au Rêve | …or a dream. 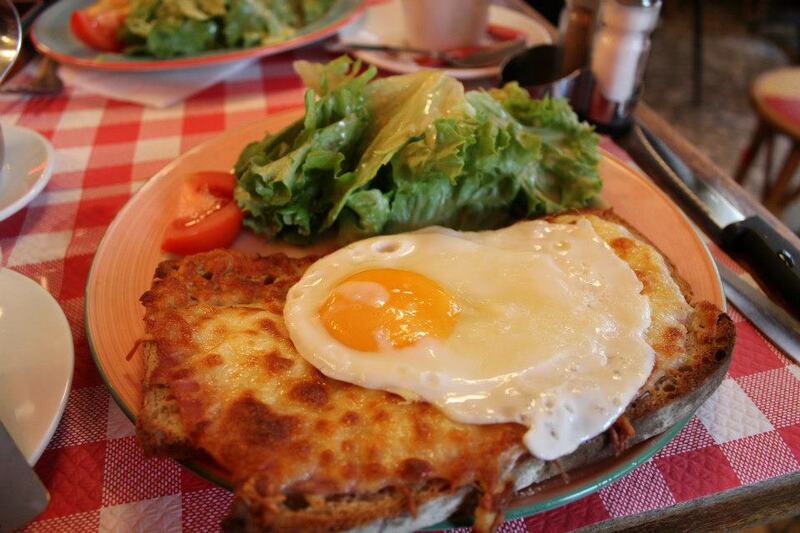 If you are enjoying the historic Montmartre district, be sure to eat at this hilltop café. 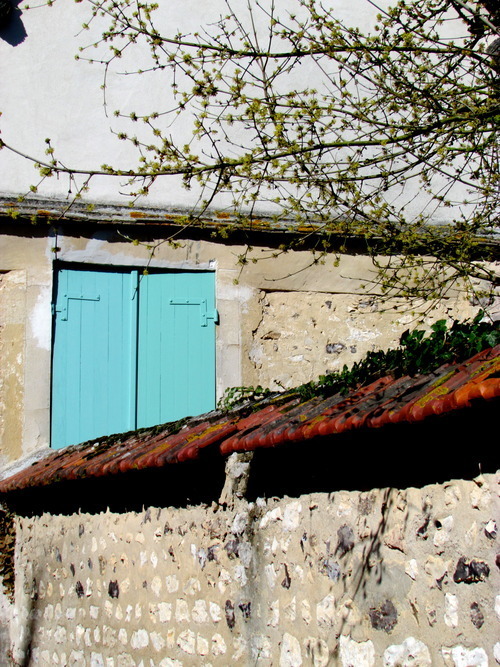 Serving up delicious specialties such as canard (duck) and homemade glace au chocolat (chocolate ice cream) there is nothing better than sitting outside and watching the day pass by. 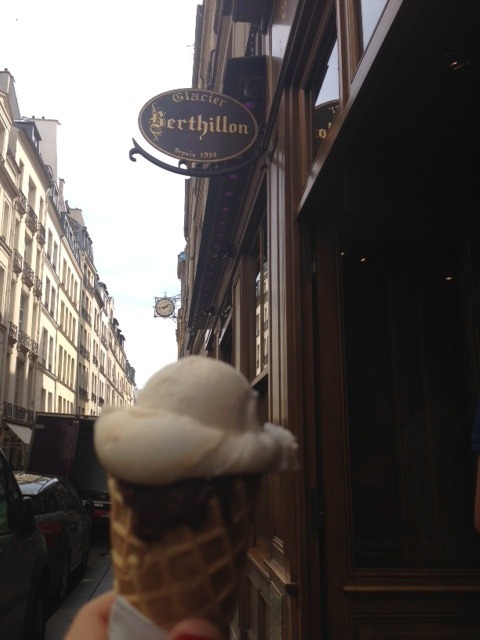 Berthillon | The line is worth it – the ice cream doesn’t get better than this. 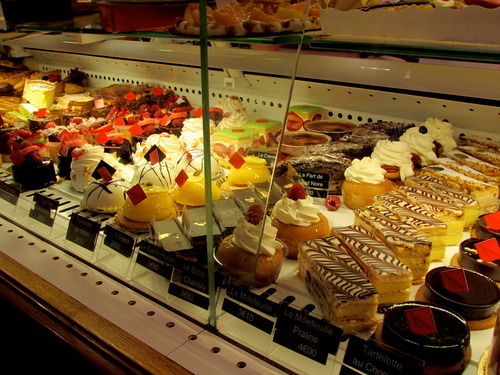 If you can’t wait in the line, go to any of the cafes on Île de-la-Cité, they all serve it. My favorite flavor was fig. 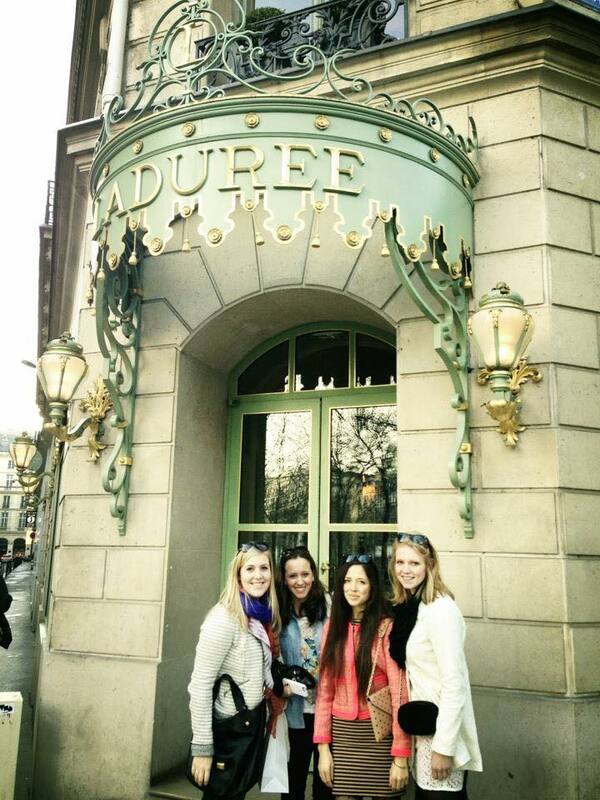 Ladurée tea salon | Ladurée is worth the fuss. 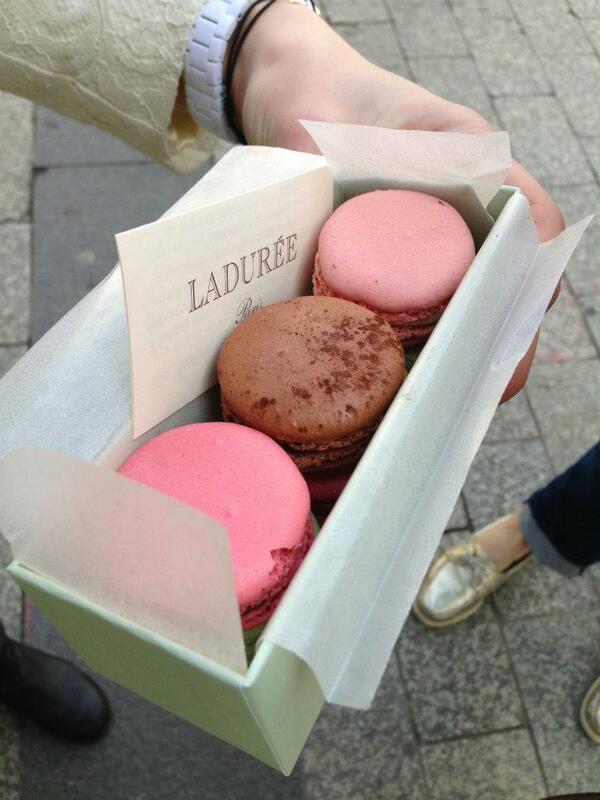 They serve macarons so delicate that they melt in your mouth and keep the people lining up. My favorite flavor? Rose. Have access to a kitchen? Nothing will make you feel more like an American in Paris than buying summer vegetables at a local market and pulling together ratatouille. Julia Child would be proud. Get used to saying “une caraffe de vin (rouge/blanc), s’il vous plait,” to this, you will be given a carafe of the house white or red wine – and trust me…I was never disappointed. Le Baron Rouge | A small neighborhood wine bar, that is seemingly always packed and serves up delicious wine for 3 euro a glass. There isn’t much room to sit, so people often stand, often overflowing into the street – it’s really one big party. 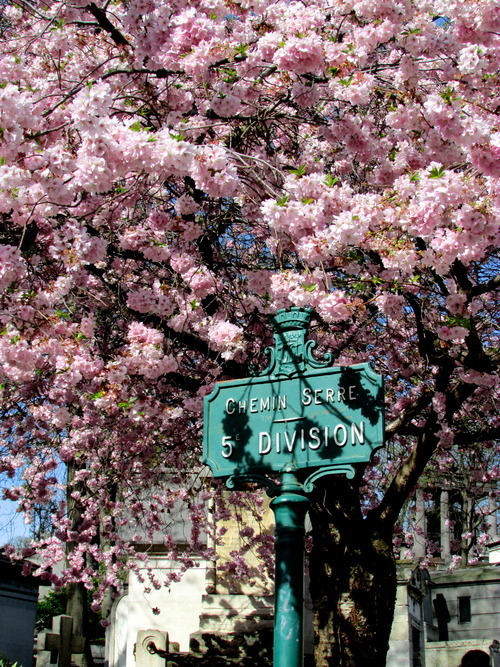 Les Closeries des Lilas | Ernest Hemmingway’s haunt is nestled in the neighborhood I resided in during my time in Paris. 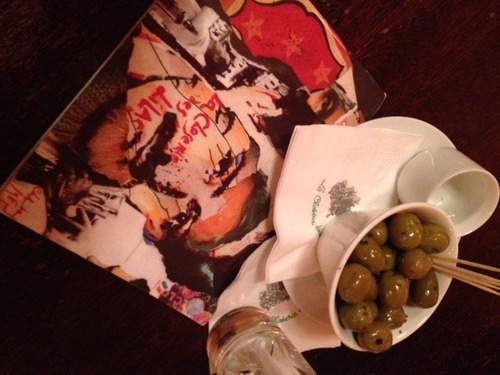 Come here to dance as you scarf down olives, listening to live piano jazz in the background, while drinking an American cocktail with a French twist. 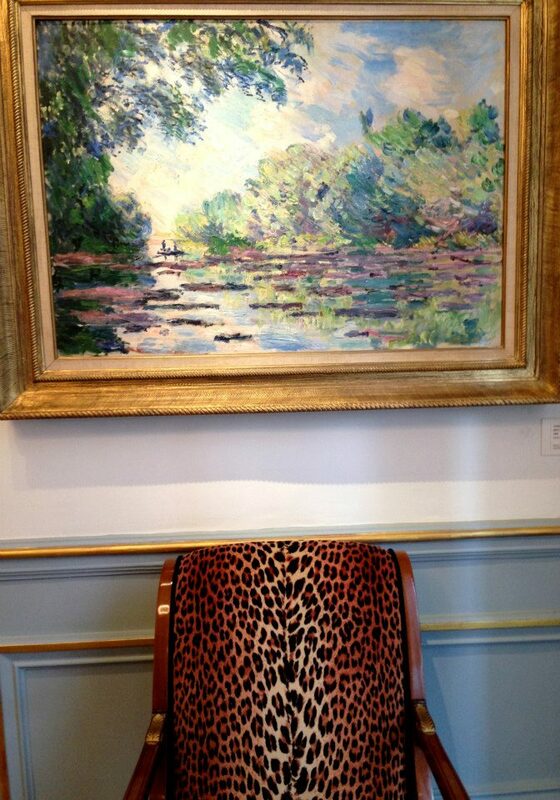 Musée de l’Orangerie | My favorite art museum in Paris. There is just the right amount of art from the impressionist period that makes you feel as if you’ve seen a good amount, yet doesn’t overwhelm you. 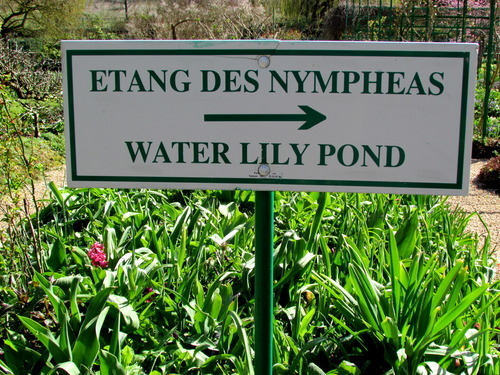 This is where Monet’s water lilies or nymphs are. 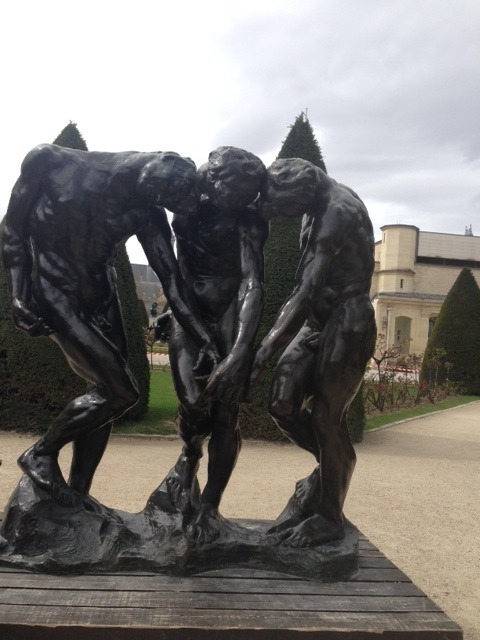 Musée D’Orsay | Another wonderful collection of art. You could easily spend the entire day here. 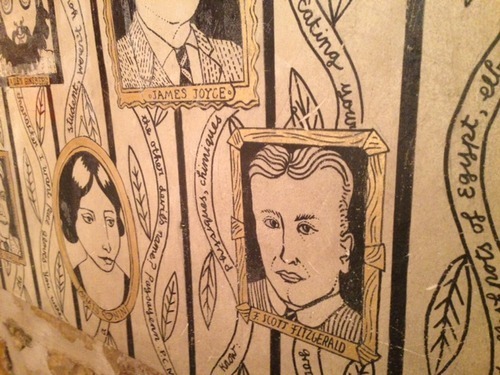 Catacombs | The Catacombs ran underneath the house I lived in during my time in Paris. They are one-of-a-kind & not for the faint of heart. 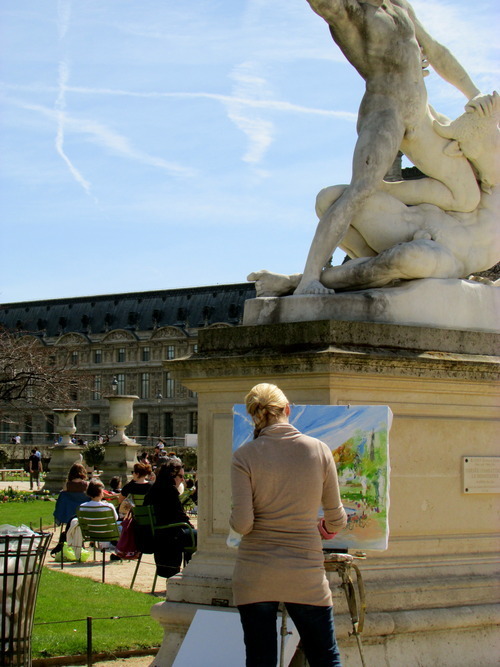 Luxembourg Gardens | Perfect place to get lost. 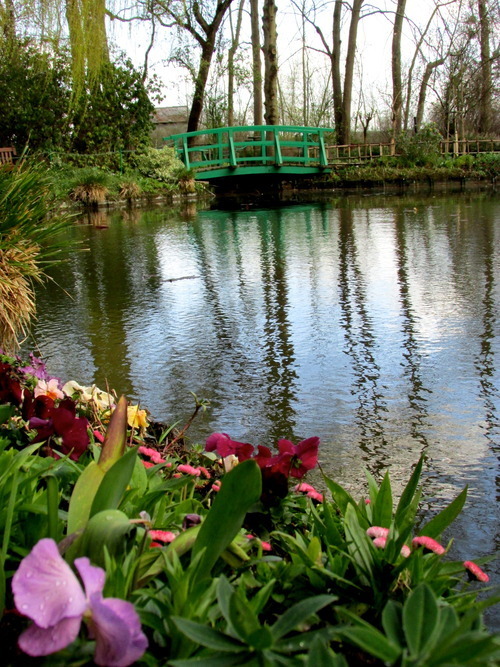 Take your time soaking in the wonderful gardens, moss covered fountains and bronze statues. If it’s warm out, watch children sail their homemade boats in the fountain. If it’s cold, sit at one of several cafes and enjoy a latte. 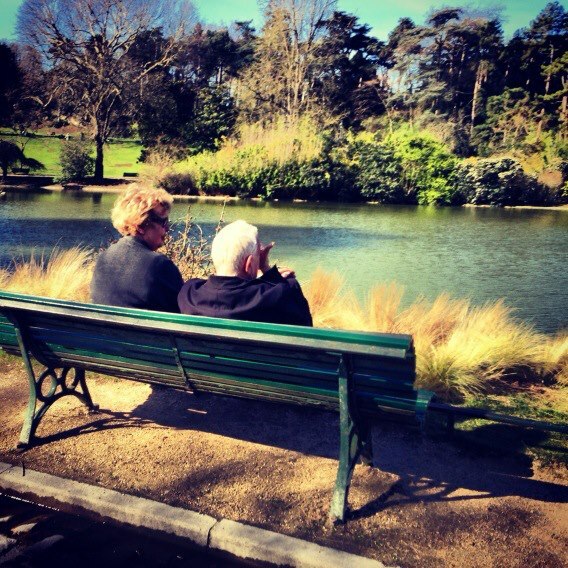 Parc Montsouris | My neighborhood park. 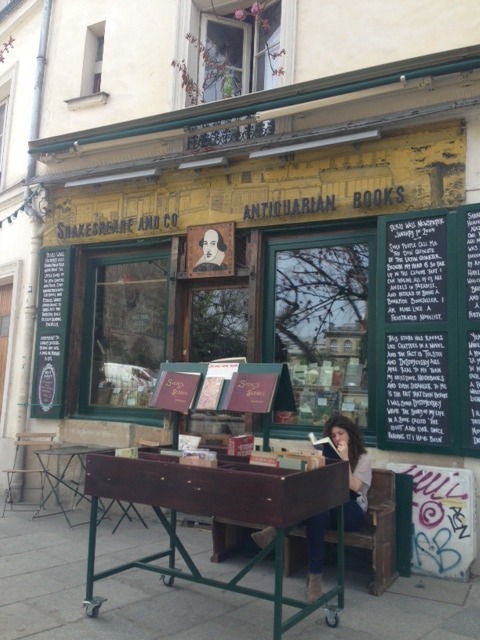 Come here to snack on cheese, get an ice cream cone, read a book or people watch. La Tour Eiffel | I don’t care who you are, when the Eiffel Tower glitters and sparkles on the hour mark, everything is right in the world. Louvre | Though not my favorite art collections, the Louvre is not to be missed. Look for the Mona Lisa, and Venus de Milo among many other famous pieces. 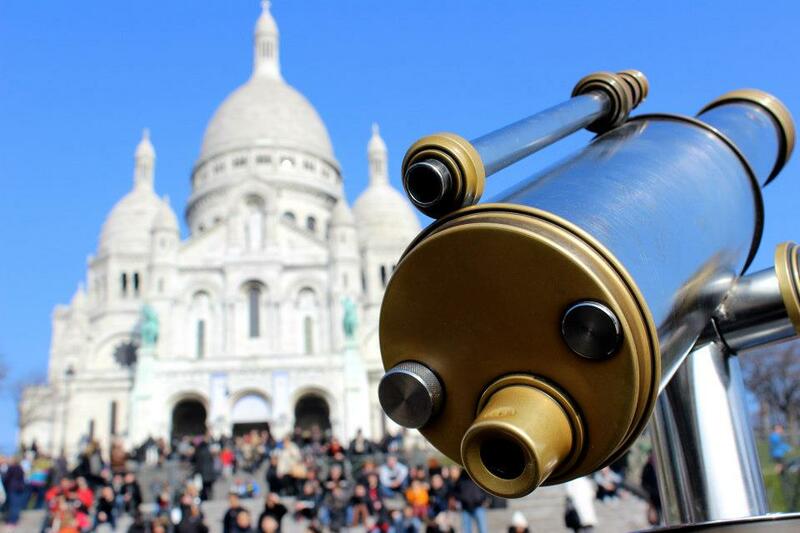 Montmartre | Make your way to the north of Paris for spectacular views, and old-Parisian charm. 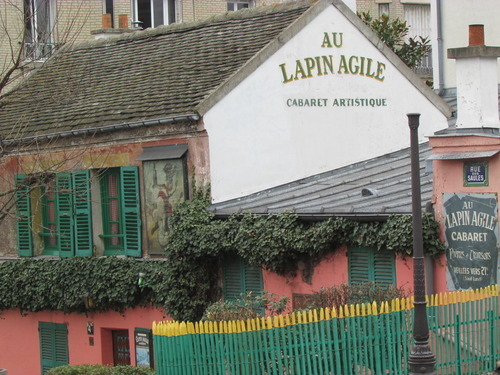 If you get a chance, sneak to the cabaret… I recommend Au Lappin. 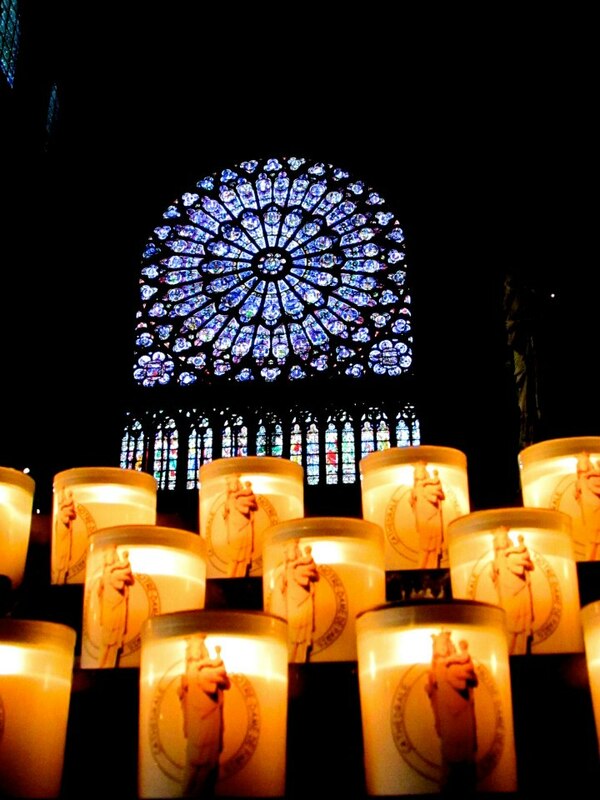 Notre Dame | Enjoy scenic views of the marvelous cathedral from the banks of the Seine. 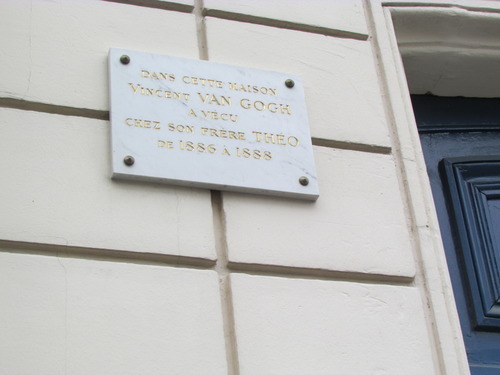 The Marais | Touted as the hip neighborhood of Paris, the Marais has a lot to offer – from fun nightlife, to fabulous shops, and Musse Carnavalet. 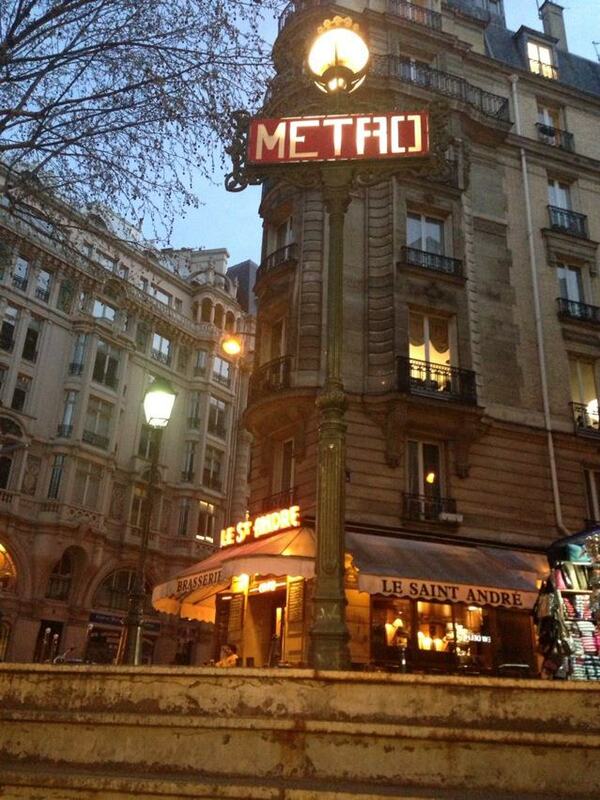 If you find yourself in the Marais, make a stop at L’as du Falafel mentioned above. 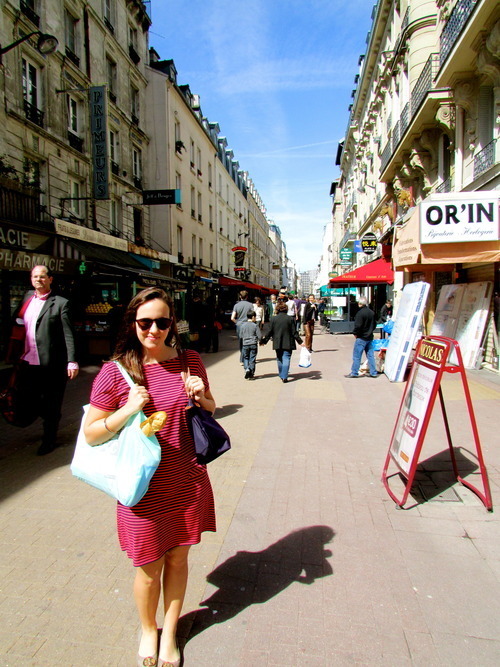 Saint-Germain-des-Prés | My favorite neighborhood in Paris. I’m definitely a left bank kind of girl. This is where Paris feels the most like Paris to me. 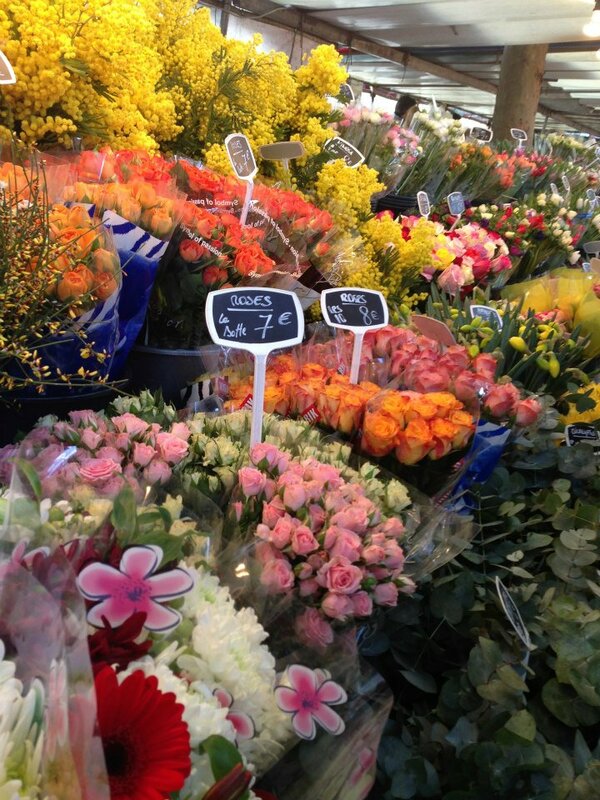 With open air markets, famous cafes, and beaucoup de charm, the 6th arrondissement is not to be missed. 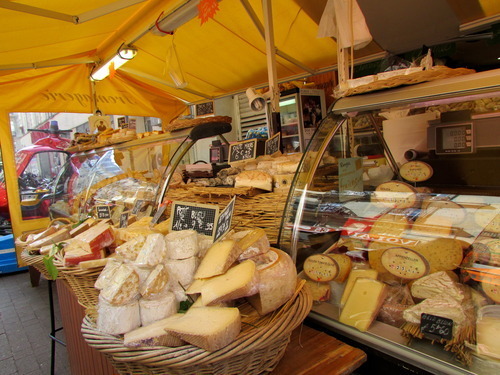 Markets | Do not leave Paris without stopping by a market, if only to inhale the blue cheeses or get a glimpse of fresh rabbit. I urge you to pick up one thing you haven’t had before. This list is really just a beginning. 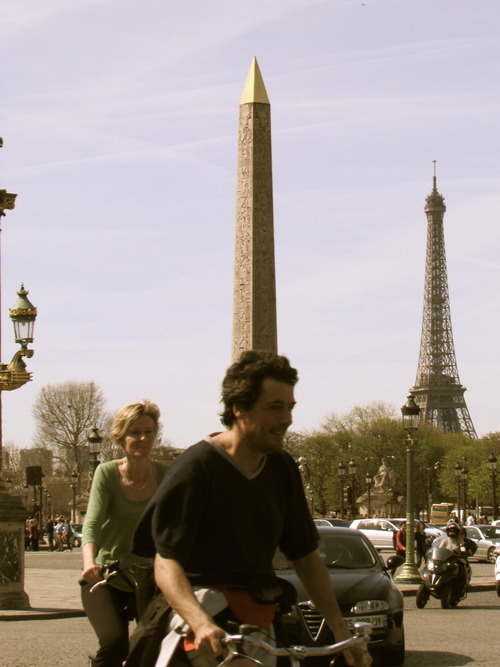 On one of my first nights in Paris, my French cousin urged me to “get lost and enter,” and that is what I urge all of you to do as you find your own way through Paris. 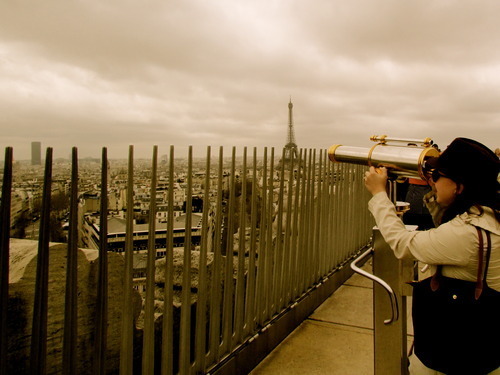 I enlisted the help of my Parisian girlfriends that I studied abroad with to lend me their one favorite thing about Paris…the thing is, their one favorite thing turned into a bit more, because no one can decipher that one thing that made them fall in love in the City of Light. Brigitte | Eating bread and drinking wine. Kate | My dear! 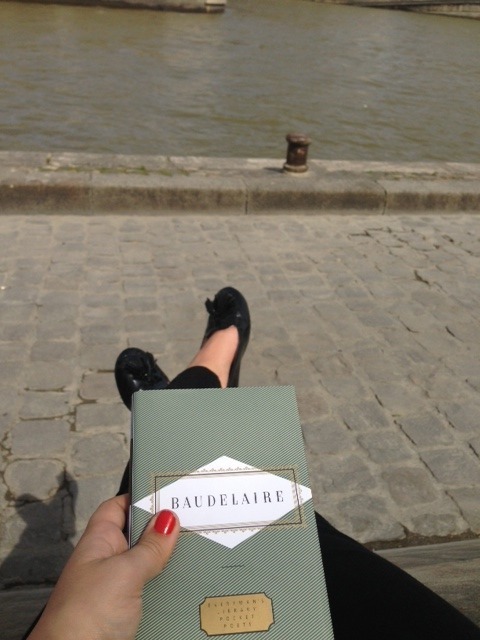 You ask me my one favorite thing to do in Paris? 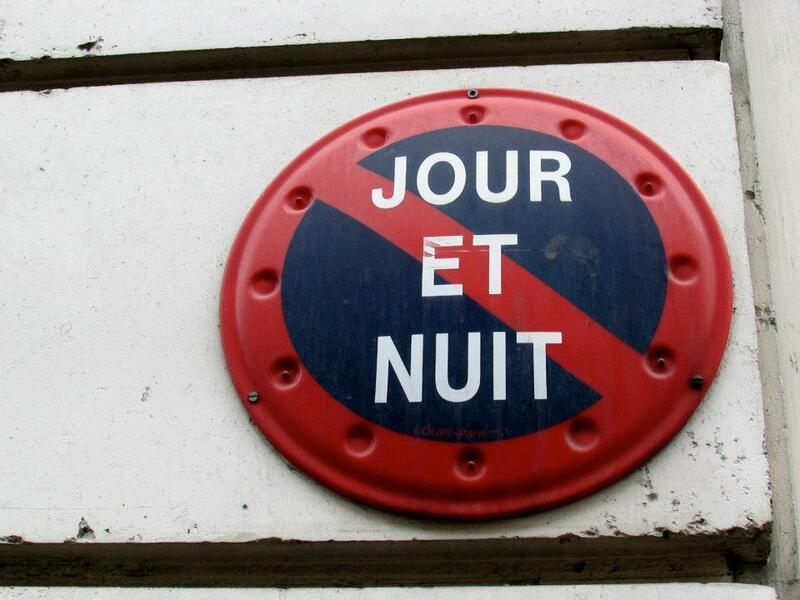 Ce n’est pas possible! 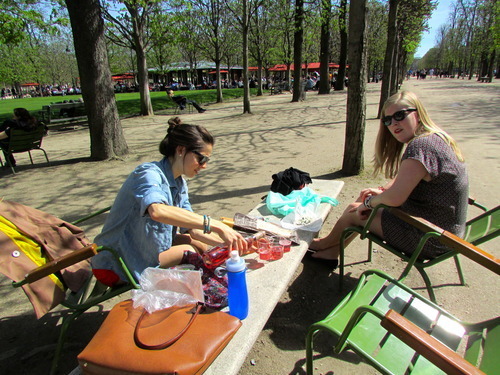 All things to do, eat, smell and see in Paris are my favorite. And since I hear you already stole away my hidden gem restaurant, Au Rêve, with the best canard in the city, I’ll have to say walking through Montmartre of course. While many tourists say “oh of course,” I don’t mean just sitting with great Nutella ice cream on the steps of the Sacre Coeur. I mean the elegant “other side” of the hill itself. 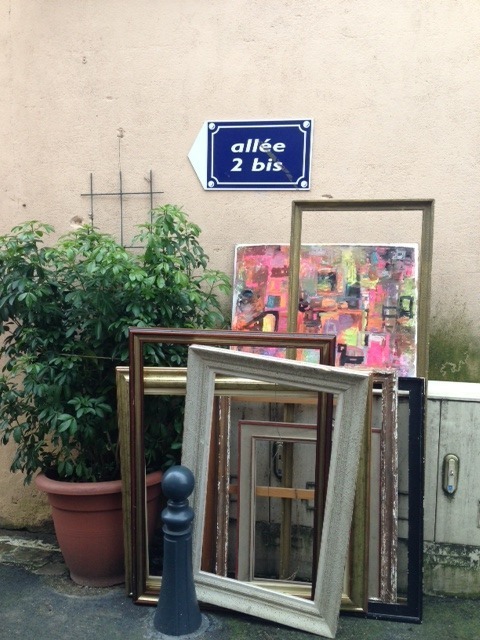 While of course I’m bias, strolls passing famous artists’ such as Piacasso hot spots, seeing young French children play soccer in the street, and the Normandy style homes…It’s my oasis. Just that stroll. 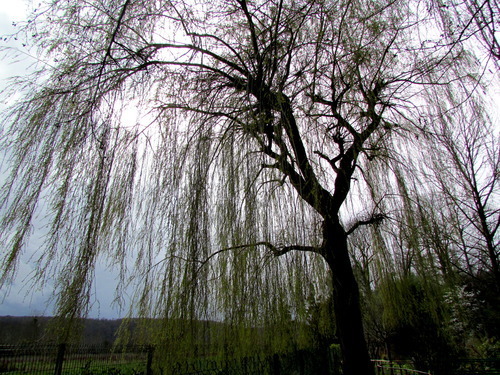 On my peaceful walk I would stop in my favorite crêperie in the city, Brocéliande. I don’t mean any crepe, one for those gluten free readers, traveling is hard enough eh? And forget those crêpes on the street , step inside this treasure in the corner of Montmarte and discover wonderful crêpes. Not just the sweet ones, but with eggs, fresh veggies and a cider to top it off. The buckwheat gluten free crêpes were my go to. 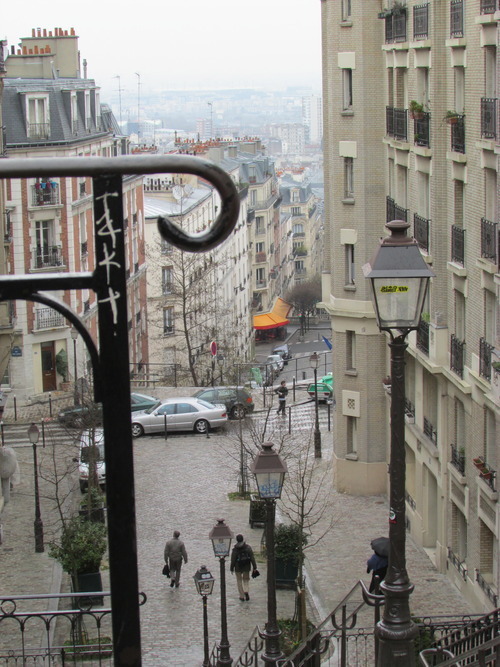 All in all, taking a stroll is my favorite thing, in Montmartre or getting lost in the rest of the city. That was my favorite thing and still is my favorite thing to do in the whole world. Be sure to check out my Paris tab for more of my favorite things & feel free to ask questions in the comments section below! Week at a glance. St. Michel at night, my neighborhood, dinner with Madame, the Louvre, moonlit view from my window. 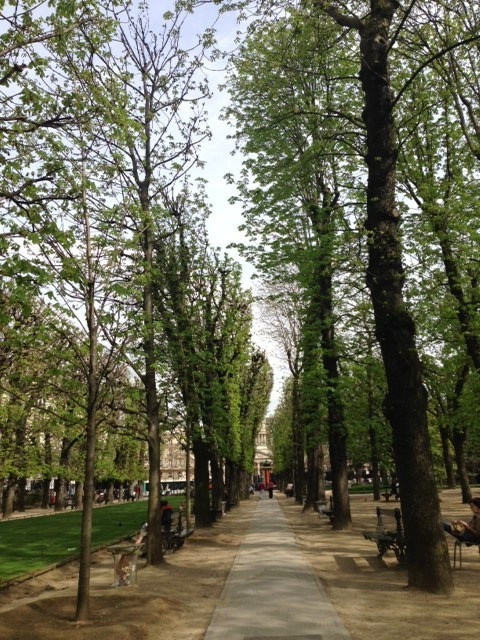 It’s finally here, springtime in Paris. 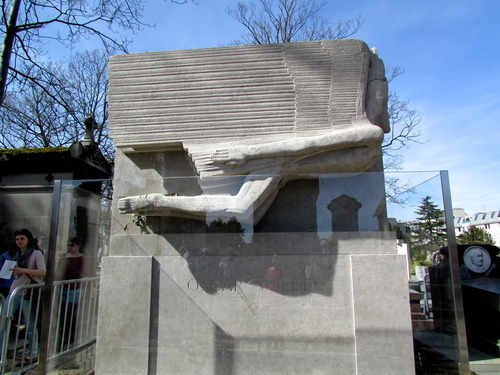 We’ve waited long enough for it and it is time to truly take advantage of what this city has to offer, starting with a trip to the outdoor sculpture garden of the Rodin Museum. 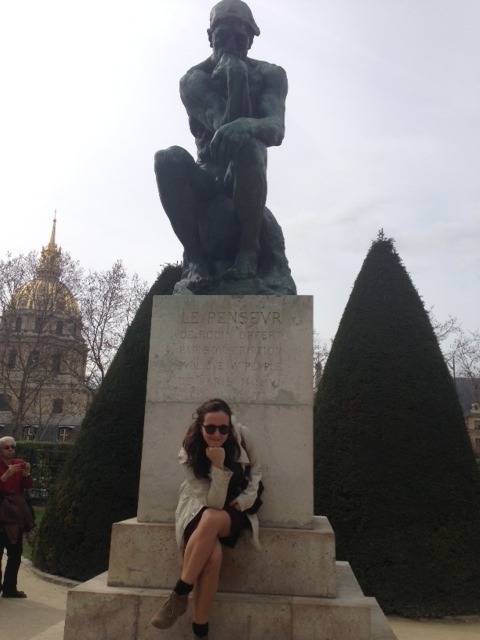 I wasn’t very excited about going, as I couldn’t appreciate sculpture as a form of art, but Rodin changed my views. Glad I didn’t close that door. The garden is absolutely lovely and if you aren’t interested in visiting the museum, you are able to pay a euro and sit in the garden (where most of the sculptures are anyways). My french professor had us meet at St. Sulpice the other day and from there, she gave us a list of directions in French. 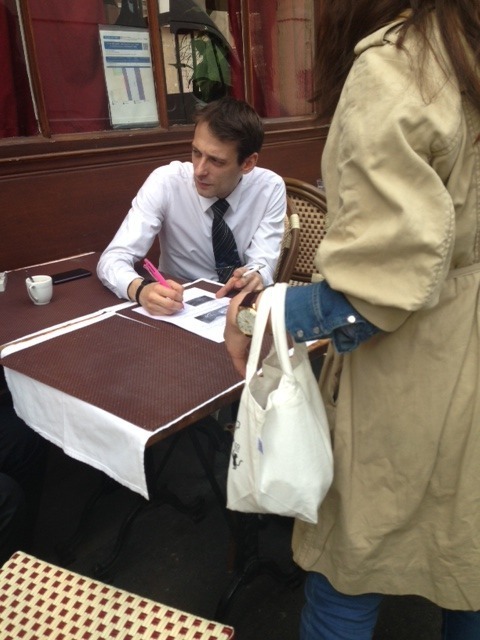 It was a scavenger hunt throughout the St. Germain-des-près area that required us to go into to cafes and ask waiters, look into store windows for certain books etc. 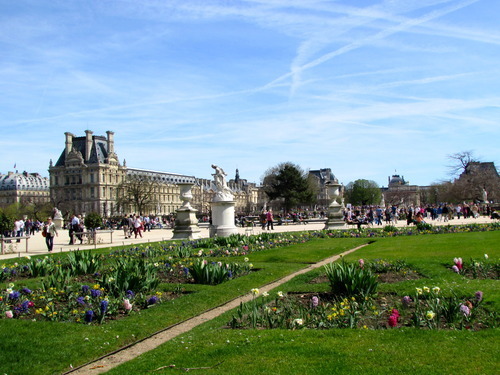 The hunt lead us to Luxembourg Gardens, which was in full bloom and alive with people. 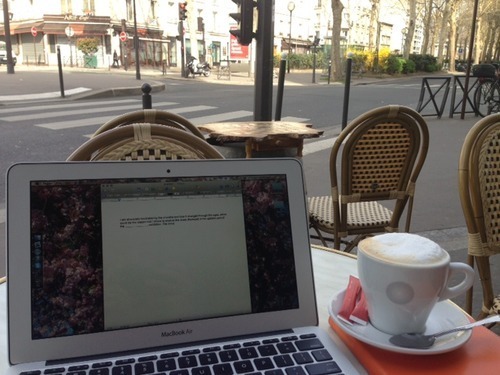 Today, I woke up and visited a petit cafe near my home to get some work done for my classes. The vibe you get at Parisian cafes is so unique, they really give the city character. 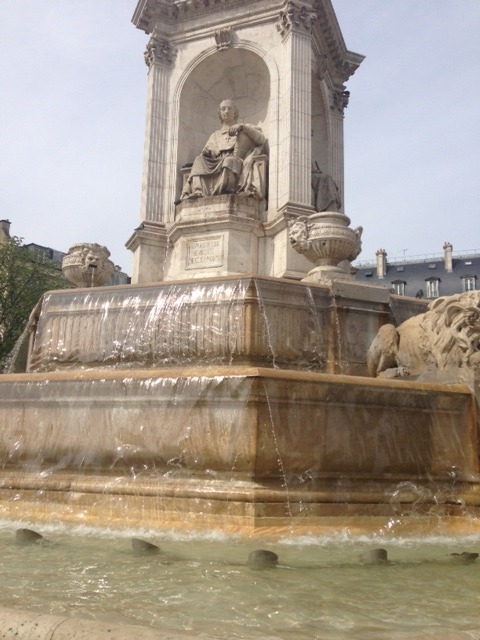 When my paper was finished, I started walking in the direction of the right bank with an agenda in mind: Shakespeare and Co. bookstore and Victor Hugo’s home…oh and because the weather is so fabulous an ice cream cone from Berthillion. Feeling inspired to finish “A Moveable Feast” by Hemingway, I went to the local park to do so. 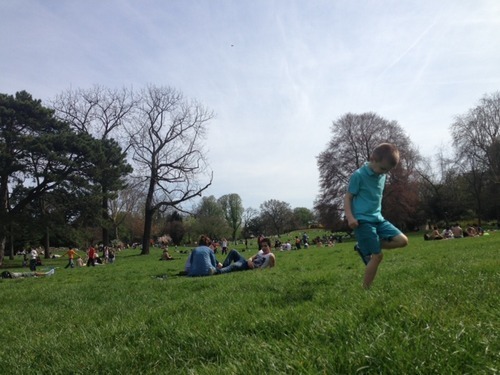 Parks in Paris are just so much better, more crowded, happier, and livelier. America we just don’t do it like Paris. 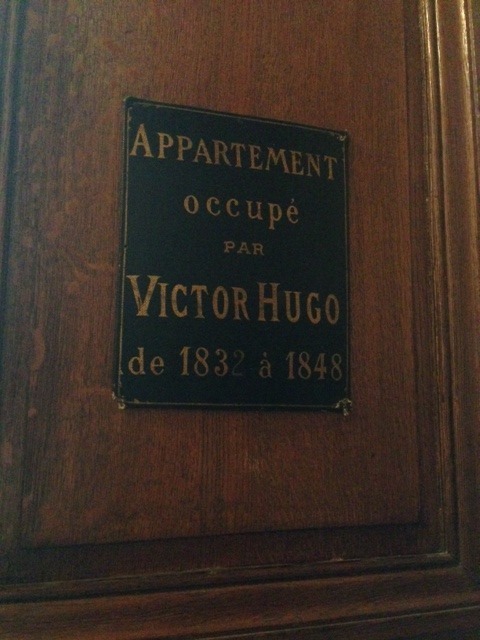 As you can see from the title, I was all around Paris this weekend. As my weekends in the “City of Light” are dwindling down, I had a lot of things to cross off my list, and the nice weather this weekend gave me the perfect opportunity to put a satisfying check mark next to those items on my list. 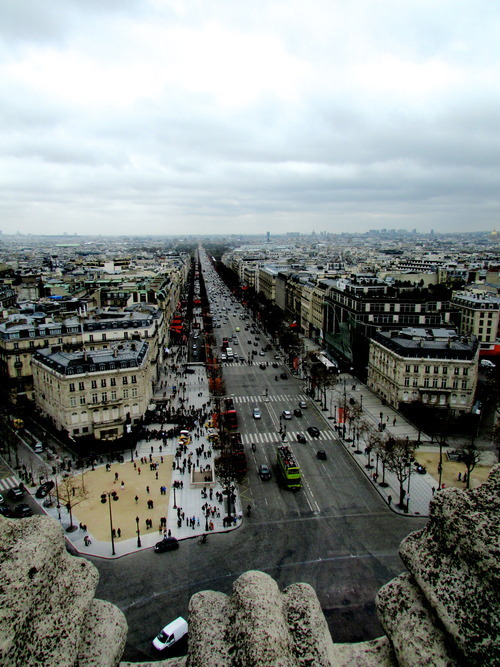 The first thing on my list was to hike the stairs to the top of the L’Arc de Triomphe to get a panoramic view of Paris. 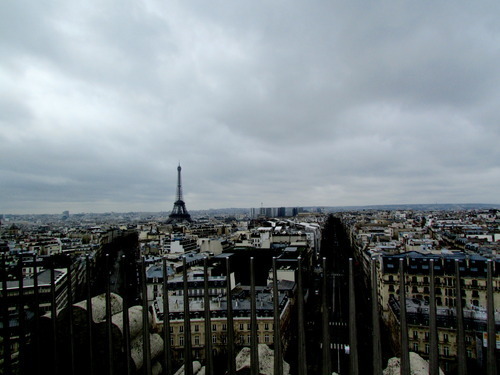 This view is said to be the best in Paris, better than from the top of the Eiffel Tower and the Notre Dame. It’s true. 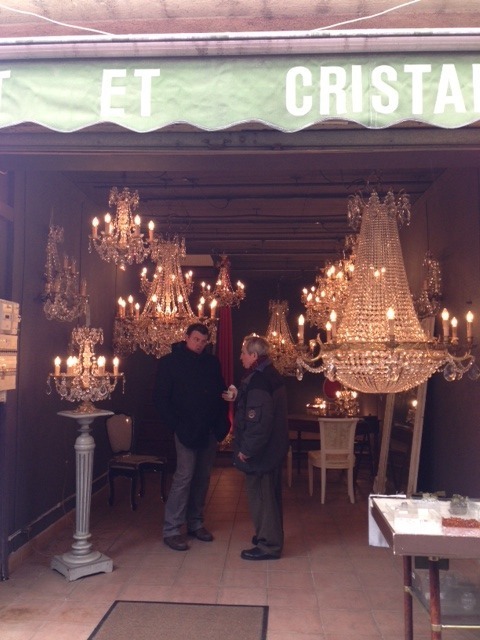 It was great to see all different neighborhoods or “cartiers” as they say in French. 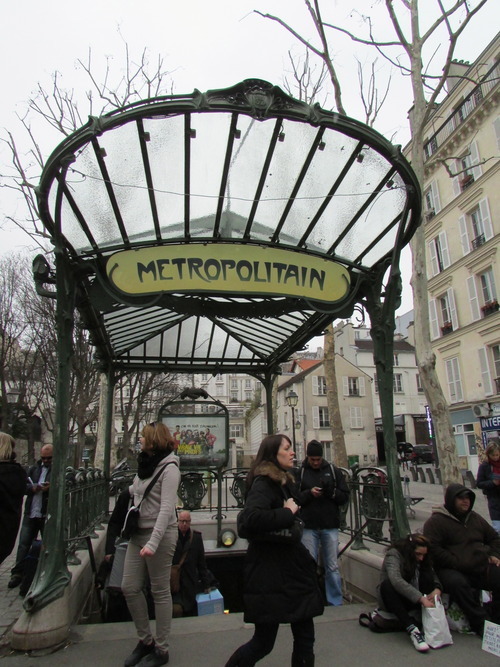 After taking in the sights of Paris, I was inspired to take the fastest metro to the original Chanel and make a purchase. Don’t get too excited, I got the least expensive thing in the store, a lipstick (Bonheur). Nevertheless, I got the Chanel treatment—I even got walked out the door! They sure know how to woe me. I forgot to tell you, I also splurged and got an Angelina hot chocolate. It is literally like you are drinking chocolate fondue. Filling full of rich chocolate, we took the metro to the end of our line, where there is the biggest flea market in the world “Port de Clingancourt.” If you are looking for something or not, you are bound to find something because of the variety that is offered; paintings, vintage chandeliers, cell phone cases, shoes, smoking pieces etc. Sunday forecast was 75 degrees. It was time to run to the market and collect all items necessary for a picnic in the Tuilerie Gardens. 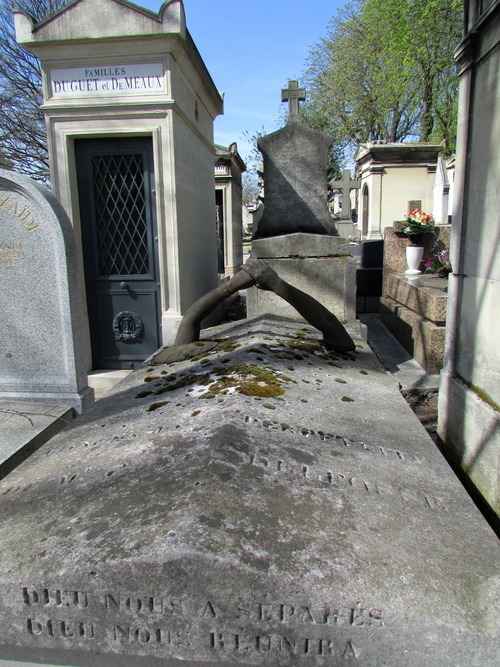 Another item to cross off my list was visiting Père Lachaise cemetery. It is absolutely vast. 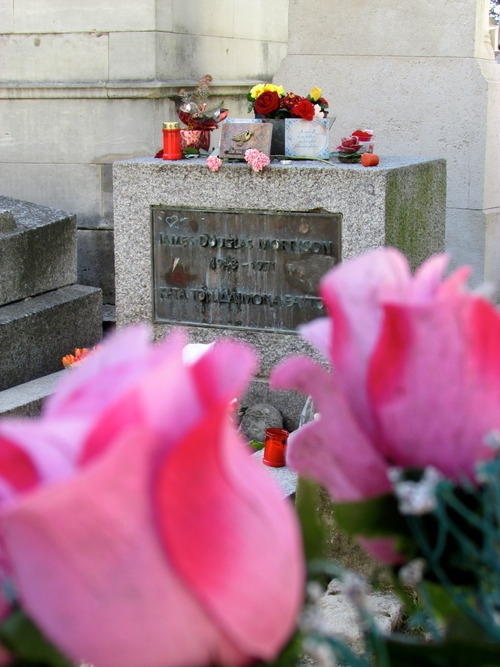 After getting completely lost, and taking a break in the 77 degree weather to tan, we finally came across the tombs we were looking for: James Morrison, Oscar Wilde and Chopin. 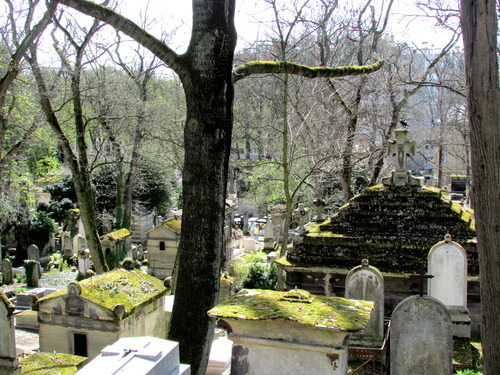 It was, of course beautiful and serene to walk through the cemetery and see loved ones remembered. 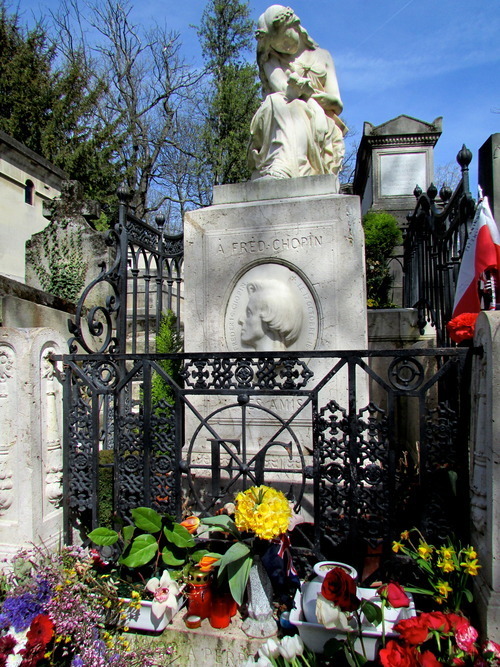 Grave of Chopin Oscar Wilde’s grave. 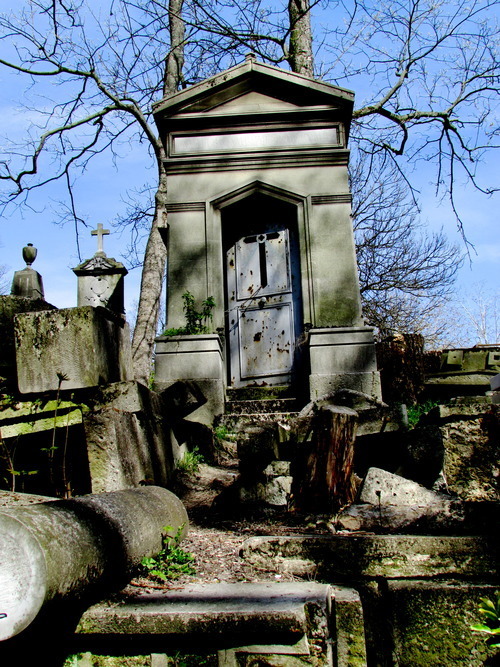 Once masked by kiss lips, the grave has been restored because of decay caused by the lipstick. Explanation can be found here. 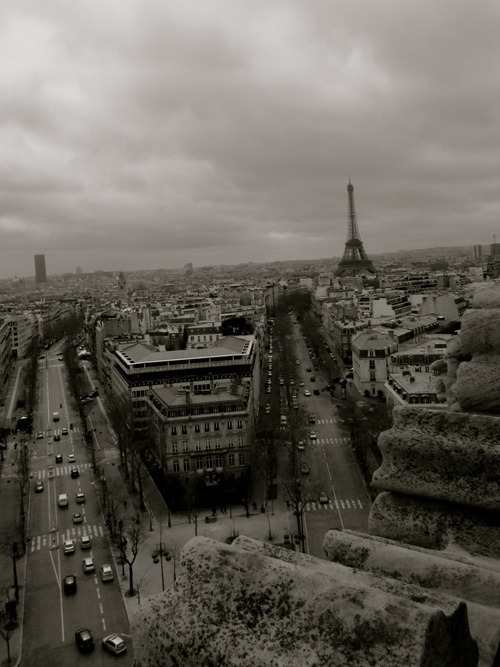 Quite frankly, I’m becoming a Francophile. Every day, there is something that I find myself more in love with in this diverse city. 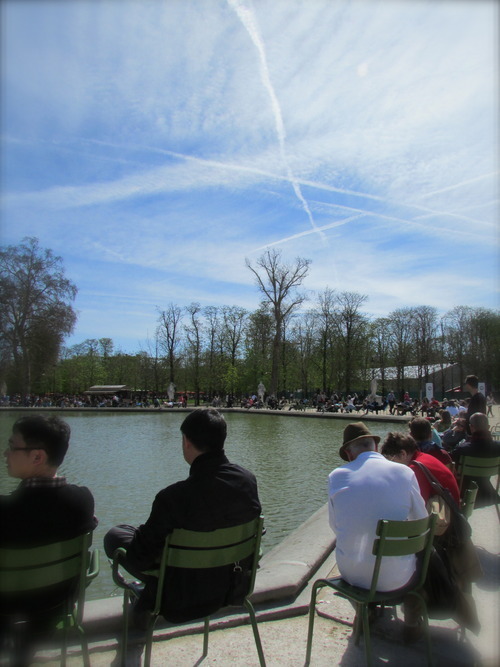 This is my first weekend in Paris in a month, and the forecast is actually boasting spring weather. 1. 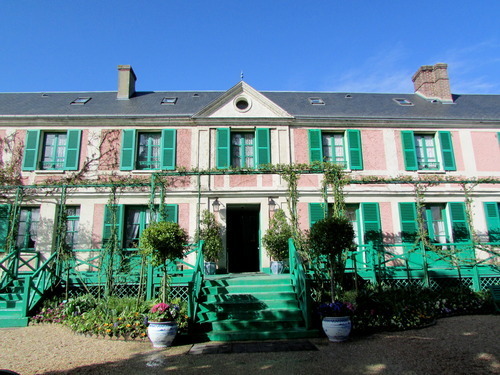 Taking a day trip to the Normand country side to visit the home of Claude Monet. 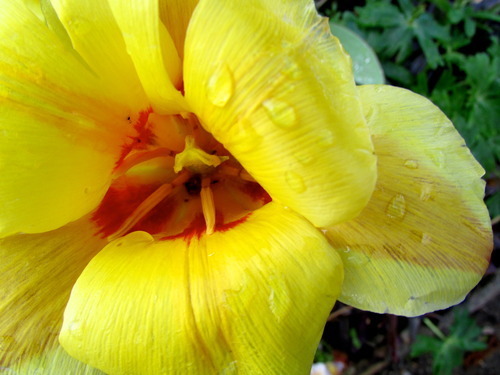 Even though the water lilies weren’t out because of the unusually cold and long winter, it was still a sight. 2. The trash system in Paris is incredible. I am absolutely fascinated by it. Trash is picked up around the city, small side streets and all, daily. 3. Reading the novel, A Moveable Feast by Earnest Hemingway and being able to recognize almost every location and restaurant that he talks about. 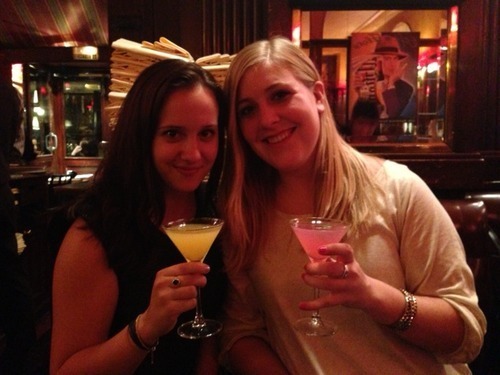 Also, visiting his favorite bar, Closerie des Lilas and getting a cocktail. 4. 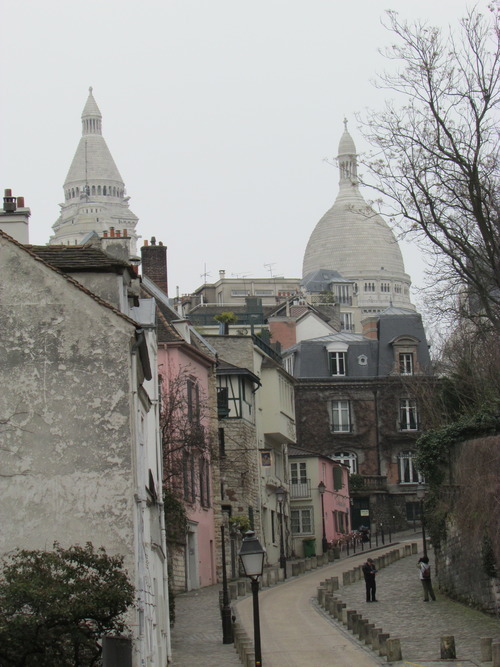 Walking around Montmartre during the day and at night. You get a completely feel at both times of day. 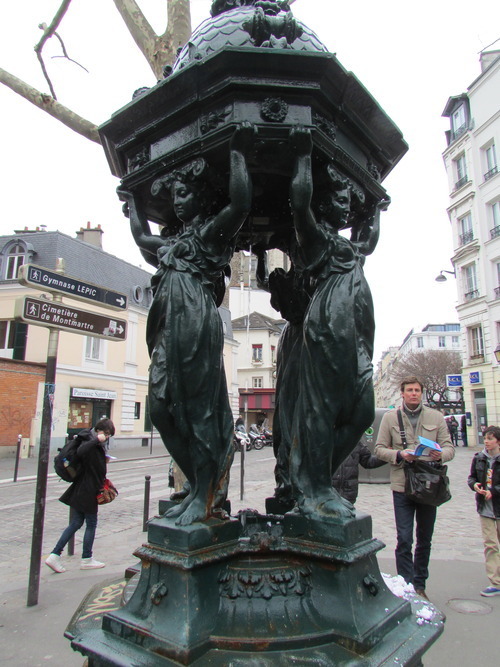 Fountains which you can use to fill your water bottle, found all around Paris. 5. 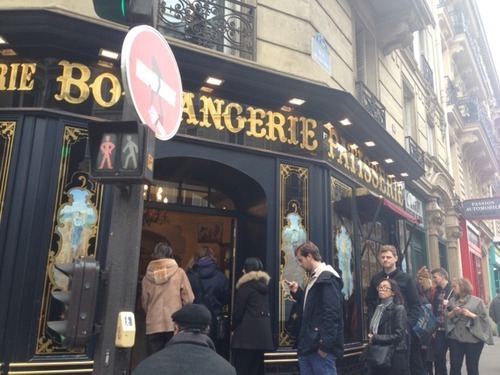 The boulangerie near my school that spews out smells that make you consider getting one of everything on display and has a line of french collegiate students to match. I normally go for a the classic sandwich with ham and cheese on a toasted baguette.